Our expertise saves you time and money. With over 20 years of experience serving local homeowners and businesses, our skilled technicians have the training needed to tackle even the most complex heating and cooling issues. You can count on us to work efficiently, courteously, and provide you with budget-friendly solutions. When an expensive piece of home equipment fails and you are in need a repair technician, we understand the challenges you face when trying to find a company you can trust. Rest assured that at Sutor Heating & Cooling honesty and integrity are at the core of everything we do. That is why we have so many happy customers who are eager to recommend us to their family and friends. 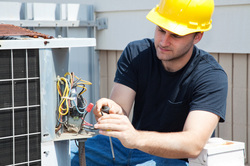 We are proud to employ only the friendliest and most knowledgeable installation and service technicians. But don't take our word for it—visit our testimonials page to read what our customers have to say about us.